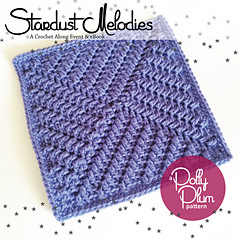 The Stardust Melodies Crochet Along from Polly Plum is an afghan crochet along of sweet, soft, touchable squares like a lullaby of yarn that you can wrap around your loved ones. Each of the twenty-four squares is an all new original design that is rich in visual and actual texture inspired by a favorite song. The crochet along is a semi-mystery and you can view some of the patterns here on Ravelry and see more pictures in the blog announcement (linked below). Patterns will be made available twice a week beginning on May 18, 2017. Click here to read the CAL announcement and get more details (including a coupon code for the eBook!). 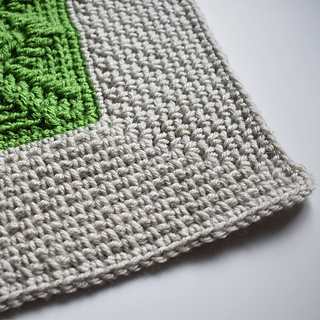 This eBook includes 12 exclusive patterns, charts, and your purchase grants you access to private YouTube video tutorials for each of the 12 exclusive squares. Additionally, you get printable PDF versions and charts of all 12 more free squares that are also part of the CAL. That’s 24 patterns in all. 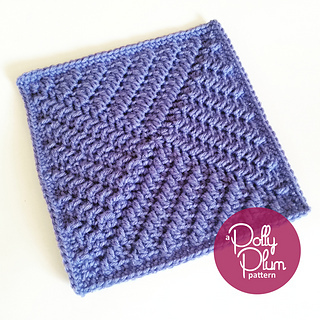 Join the Polly Plum Pattern Posse on Facebook for all the CAL action.